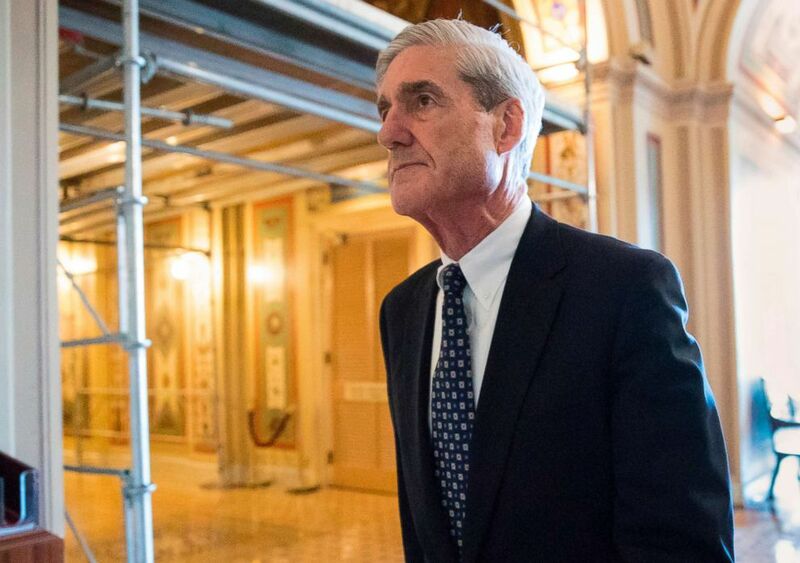 A social media adviser who worked with President Donald Trump’s longtime confidant Roger Stone received a pair of subpoenas from Robert Mueller as part of the special counsel's ongoing investigation into Russian meddling during the 2016 presidential campaign. Jason Sullivan, a social media specialist who worked for Stone’s political action committee in 2016, received two subpoenas from Mueller last week, Knut Johnson, a lawyer for Sullivan, told ABC News. One subpoena summons Sullivan to appear before the special counsel’s Washington, D.C.-based grand jury. A second subpoena requests documents and other electronic information from Sullivan. The subpoenas being sent to Sullivan was first reported by Reuters. Special counsel Robert Mueller departs after a meeting on Capitol Hill in Washington, June 21, 2017. In an interview with ABC News Wednesday, Stone confirmed that he employed Sullivan “for a couple of months” during Trump’s presidential campaign. Stone served as an adviser to Trump during the nascent days of the campaign but left before the end of 2015. Stone’s social media activity during the run-up to the 2016 election has raised eyebrows for its seemingly prophetic message about hacked emails belonging to Hillary Clinton’s campaign chairman, John Podesta. In the weeks before WikiLeaks began publishing emails belonging to Podesta, Stone tweeted out cryptic messages on Twitter alluding to some sort of reveal related to the Clinton campaign and specifically Podesta. "Sullivan did have the passcode to my Twitter feed,” Stone told ABC News, but said he could not recall whether Sullivan ever tweeted from his account. Stone has appeared before the House Intelligence Committee as part of its investigation into Russian meddling in the 2016 election. Stone tells ABC News he has not been contacted by Mueller as part of the special counsel’s investigation. Stone has repeatedly denied any coordination with Wikileaks or knowledge of collusion with Russia during his time on the Trump campaign. Johnson insists his client has done nothing wrong. “He's got really powerful technology that he developed and does a fantastic job with it. I can see why a campaign would want to use him," Johnson told ABC News. Sullivan, who has experience working on a number of Republican campaigns, uses software he developed himself that sifts through Twitter and returns published data that a client requests, Johnson says. "All of [Sullivan's] activities, as far as I know, are perfectly legal," Stone told ABC News. The special counsel’s subpoena set May 18 as Sullivan’s date to meet with the grand jury, but Johnson says negotiations about timing are ongoing.